Still others hold that in the time of the Roman Emperor Tiberius, a way of making glass malleable was invented; a thing that was subsequently lost and today is hidden to all. Indeed if such a thing were to be known today, without any doubt it would be more valued than silver or gold for its beauty and incorruptibility, since glass does not give rise to rust or taste or smell or any other adverse quality. In Pliny's telling, the hapless artisan was executed on the spot. His workshop was destroyed to prevent the devaluation of the emperor's copper, silver and gold. Consider that this story emerges coincident with the technical development of glassblowing. For the first time in history, artisans could form cups, plates and a variety of glass vessels directly with an iron blowpipe, quickly and inexpensively. Now, glass was available to the masses at affordable prices. The innovation represented nothing short of a revolution in technology. From turning bubbles of glass into vessels, it was perhaps not so hard to imagine that a malleable glass would be next. In this light, it is quite understandable to find a parable about glass upsetting the precious metals market. We find yet another variation of the story in Richard Knolles' The General Historie of the Turkes (1621). In 1610, just as Neri was preparing to return to Florence, from Antwerp, we are told that "…among other rare presents sent to the king of Spain from the sophy of Persia there were six drinking glasses made of malleable glass so exquisitely tempered that they could not be broken." This version takes place at the same moment in history that Venetian style glassmaking skills were unleashed throughout Europe and just as new trade deals were being formed in the Far East. Glass was again rattling the balance of economic power. 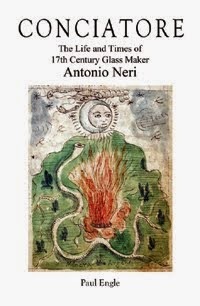 In the 1697 translation of Neri by Blancourt, the story is embellished with a new twist, the rediscovery of malleable glass in France. In the reign of King Louis XIII (the son of Marie de' Medici), a beautiful glass figure was presented to the chief minister Cardinal Richelieu. In this version of the tale, the artisan was rewarded for his efforts with life imprisonment. The story of flexible glass, in each case, emerges in a period of economic uncertainty caused by glass technology. In each case, the parable is redressed for the times, expressing new fears about economic stability. 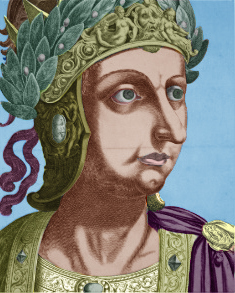 Tiberius' worry was the invention of glassblowing, for Philip III it was the emigration of Venetian glass masters and for Cardinal Richelieu it was the nascent industrial revolution knocking on his door. Often, these stories are cited as evidence of miraculous technical achievement. Perhaps they are better understood as signposts of social and economic developments in glassmaking.